You are here: Virgin Islands News Online » News » No place for students to write examinations? No place for students to write examinations? ROAD TOWN, Tortola, VI - The Ministry of Education and Culture had found itself in a conundrum earlier this year finding accommodation for the students in the Territory, to sit overseas examinations. The damning state of affairs that faced Virgin Islands (VI) students was impressed on members of the House of Assembly’s, Standing Finance Committee, when it met in April last to examine the Ministry’s 2018 budget allocations. 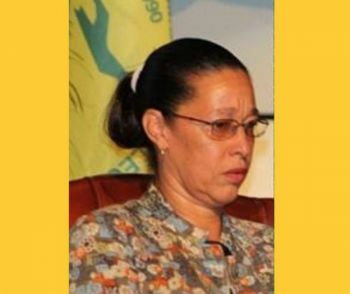 The Ministry’s Permanent Secretary, Dr Marcia Potter, told the Committee members, that at the time, the government agency was still struggling to find a space to accommodate the students to be able to sit the exams, due in June. The Ministry had identified a couple of spaces that would cost and the lowest cost, $18,000, she said. Dr Potter said there was a need to accommodate approximately 170 students. Put aside the government if these people had really care for the country they would have charge less for the sake of the children. I am aware that some children are very rude and could cause damage to property all the Education have to do is send a letter to all the parents of the children to let know if their child damage any property they will be responsible. I am quite sure that some of these people makes thousands of dollars from the government and they cannot help out. Why can’t they use HLSCC? If it’s done online they could use the auditorium - or divide them into 6 groups and use the class rooms? 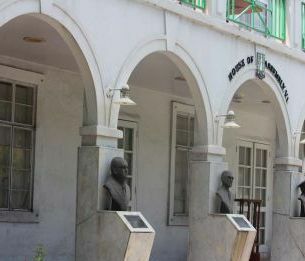 I know the college has its challenges with space too but if they were approached, they would have made adjustments, the Virgin Gorda students were very comfortable I heard, at the centre over there, the principal worked on securing the space from early I heard. The BVI have no control over when CXC schedules their exams and Saturday is certainly not a scheduled day for exams. THe auditorium seems to be a good thought to you but their are certain seating requirements outlined by CXC that has to be followed. The seats are to close at the auditorium to facilitate CXC exams. The solution chosen by the MEC worked well, that’s why there weren’t any negative reports put out on be exams. They ran smoothly be happy. So we spending 700,000 on Festival and we don't have a school? smh. Lets get our priority straight. Why are this an issue when the exam is already finish about 2 week ago by save the seed ..